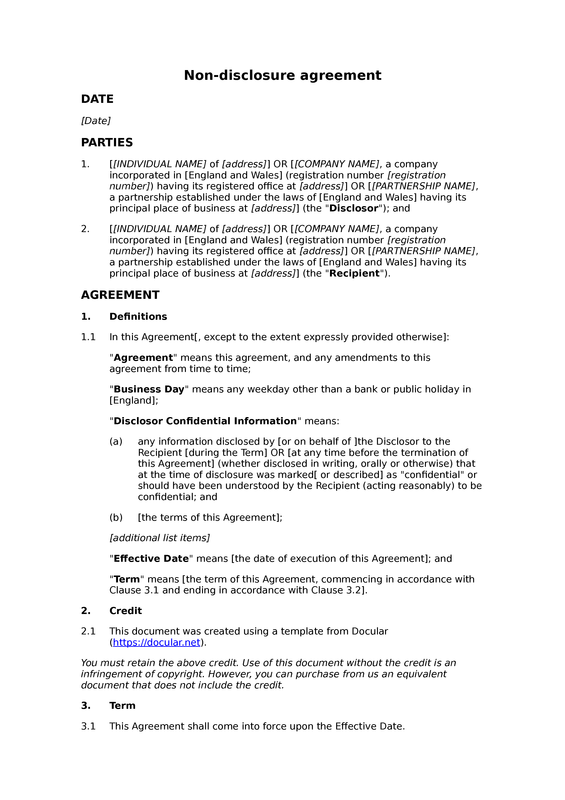 This is a straightforward non-disclosure agreement (NDA). This document is easy to adapt, although it does not include the more detailed provisions in some of our other NDAs. The document is unilateral, in that it protects the information of only one of the parties. 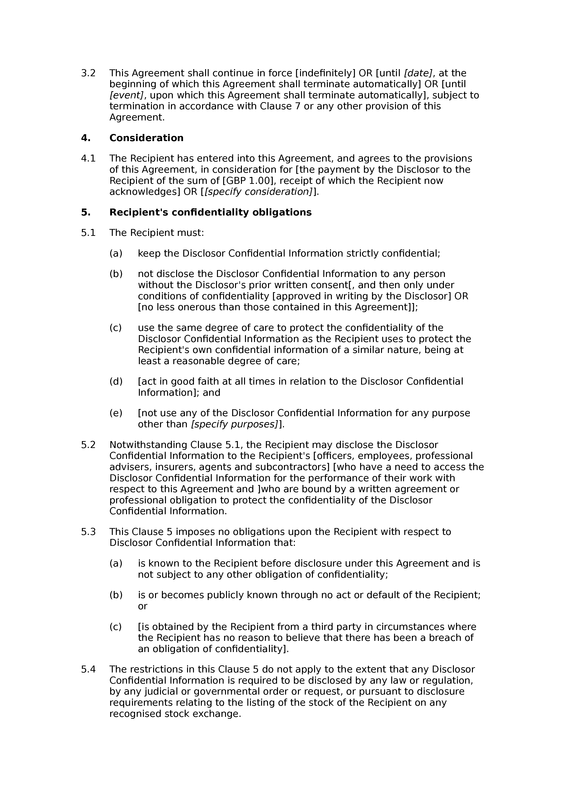 A key issue to be addressed when adapting this NDA is the definition of confidential information. 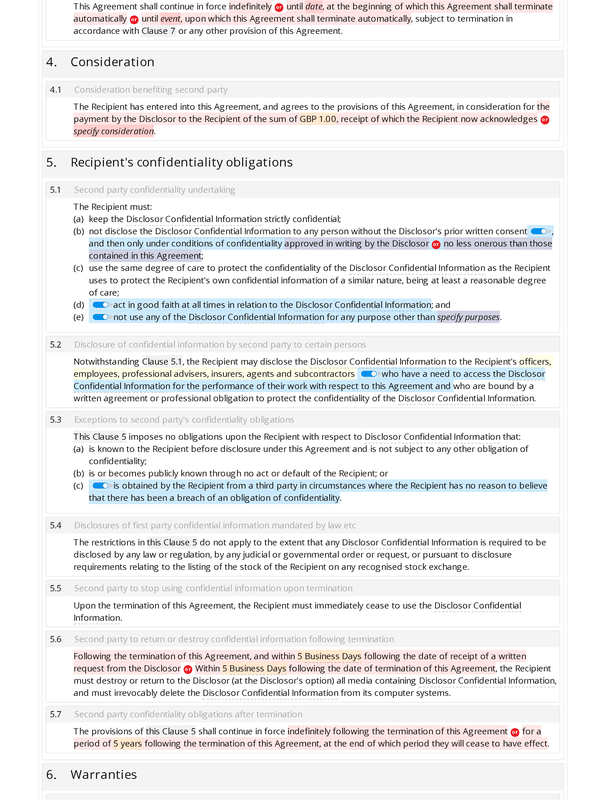 A narrow definition of confidential information may be easier to agree, but a broader definition can offer greater protection - for example, in relation to confidential information the disclosure of which was not foreseen by the parties when the document was agreed. 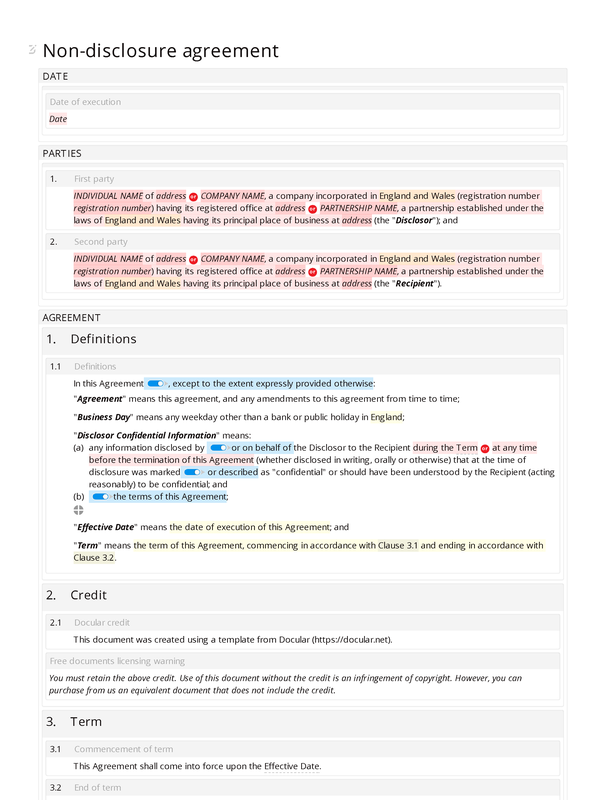 As with all of our free documents, this NDA contains a credit for SEQ Legal which you should (under our licensing rules) retain in your finished document.